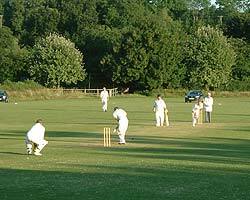 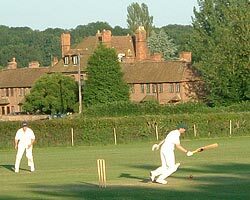 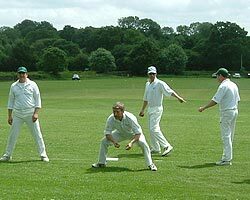 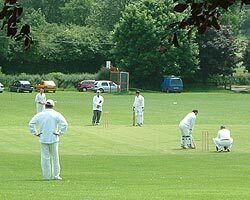 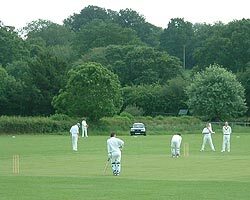 In the game against St. Mary Bourne there isn't much doubt where the Skipper has put that delivery! 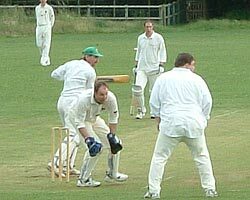 Captain Manston steers one through the covers against Dr. Harding's XI who have been coming on tour to Farley for 20 years. 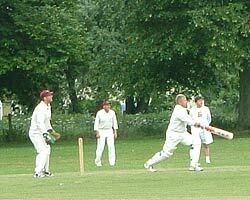 Good length delivery dealt with with a straight bat!